A credit card can serve as a short term solution for small scale financing. It can offer entrepreneurs a “foot in the door” with a lender. It provides a chance to build your business credit rating as you work hard to grow a profitable business. Stick to this strategy and in the not-so-distant future you’ll be in a good position to qualify for a proper loan. Before you apply, make sure you have a strong personal credit rating. This is especially important if you haven’t built up a credit history for your business. You can check your credit scores using a free service like Equifax. If you’re a brand new start up without a business credit history, it will be up to a lender to tell you which offers you qualify for based on your application. A no-fee credit card with a low interest rate is ideal for a young business without cash to spare. Unfortunately it’s the “low-risk” established companies who typically qualify for the best offers. When you have a choice of cards, the best one for your business will depend on your borrowing needs and spending habits. Most cards come with perks that will appeal to different entrepreneurs; for instance, some airline credit cards reward the card holder for the travel they regularly do for their business. Others may offer a percentage of cash back on spending at restaurants or discounts with certain retailers and suppliers. Look at your record of expenses for the last six months to get a good picture of the perks that would really benefit your business. Then you can seek out a card that aligns with your company’s purchasing needs. As you compare credit cards it will become clear that not all are created equal when it comes to affordability. 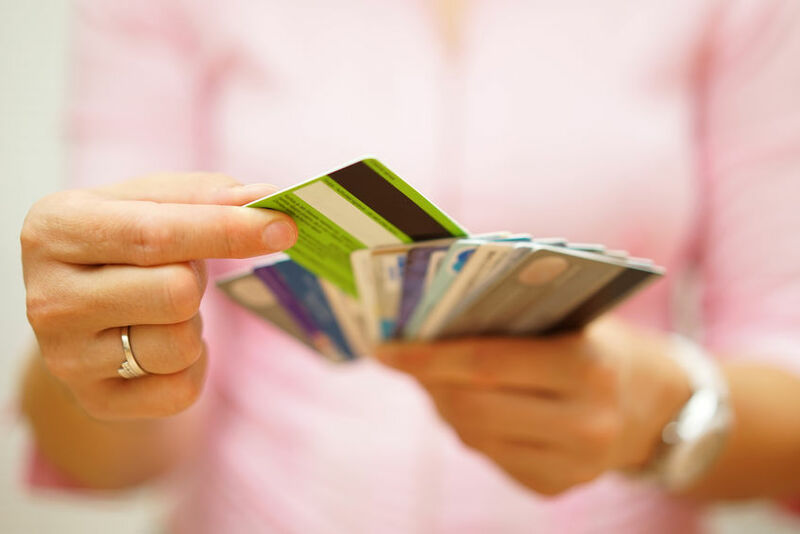 If a card appeals to you for its perks but its annual fee and interest rate trigger sticker shock, you’ll need to make your decision based on value. Use your financial records to calculate your return in cash back, discounts, and other incentives; then you can compare the card’s true worth against the costs. Once you have a business credit card, be sure you never miss a payment to avoid incurring interest fees or getting yourself into debt. Monitor your business score at least twice a year to ensure there are no errors negatively impacting your score. Recent research showed that 60 percent of small and mid-sized business owners don’t know their business credit scores; and half were unaware they even had one.